Just like any other degree program, the process of choosing a nursing program can seem intimidating. Many great programs are scattered all across the country, so it definitely can be hard to narrow your choices down. And though the goals for every prospective nursing student might start off similarly — to finish nursing school, pass the NCLEX, and find your first nursing job — there are several ways to get there and several ways your path could diverge afterward, depending on the school you choose and your career trajectory. 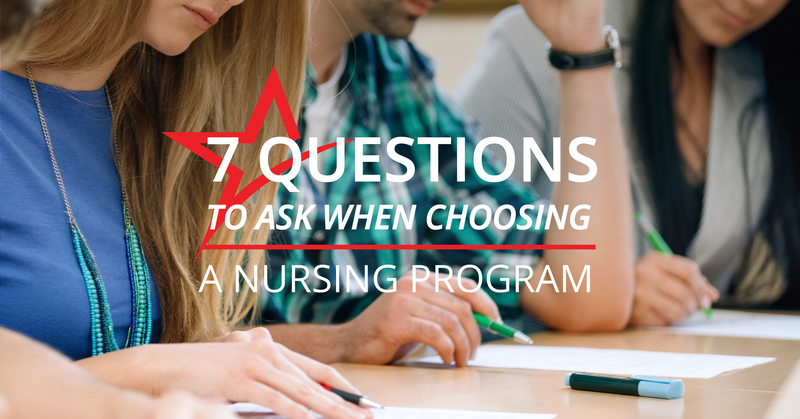 So, what’s the best way to go about choosing a nursing school? Start by writing out what you’re looking for in your education. Rank your priorities from most important to least. And ask yourself these seven questions. It’s a process, but once you begin, you’ll start to have some clarity and will find the best nursing school and program for you. 1. Does this program align with my goals to become a nurse? If you’ve held back on your dream of becoming a nurse for a long time, you may be itching to start your career right away. Or maybe you’re focused in a certain specialty that requires a specific nursing degree. These are both commendable goals, and they’re helpful too, because they can direct you toward the right nursing program. If you want a quick program to begin working right away, an ADN degree is probably best. Some accelerated nursing programs, like Ameritech, allow you to graduate and begin working as a nurse in less than two years. If you know you need to earn your BSN, you should look at schools with a four-year degree — but also others with an RN-BSN degree completion program alongside their ADN program. These programs encourage students to advance their education and careers by making the process and transition from one program to the next seamless, and they often offer a tuition discount. If you know you need a certain master’s degree, don’t immediately discount nursing schools that only offer ADN or BSN programs. Many institutions create bridge programs through partnerships with other graduate schools. These partnerships can open many doors for students to advance their education and careers, so be sure you ask admissions advisors before you apply anywhere. 2. How much will nursing school cost me? 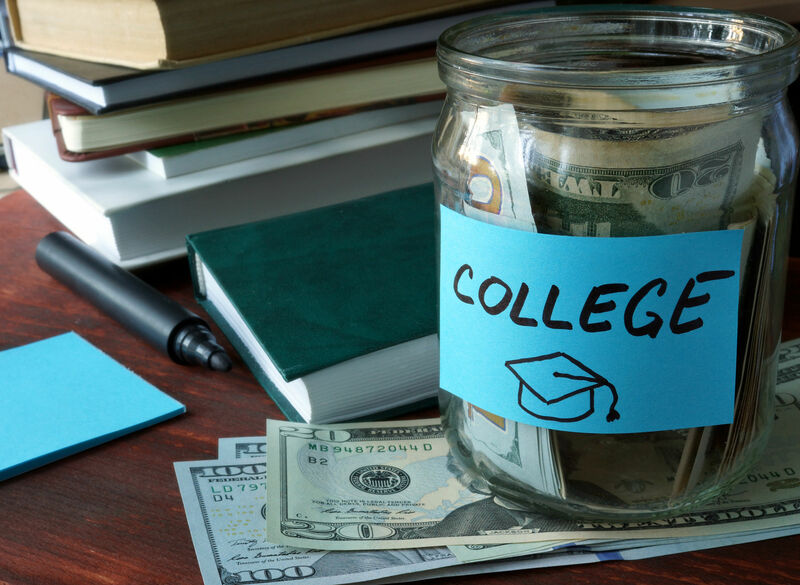 Though you’ll want to weigh your options in terms of tuition cost, student fees, financial aid, and scholarship opportunities, there are other financial considerations beyond these obvious figures. While one nursing school may have a lower tuition, if its program is longer that means another semester (or year) spent in school, not working. Additionally, you should ask what costs are covered. If you’re responsible for your own books, that will add up quickly each semester. You should also look at figures like class sizes, NCLEX pass rates, and job placement rates, all of which have financial repercussions. If the school doesn’t prepare you for the NCLEX or offer support during school, you may find yourself ladled with costs of additional NCLEX review courses and retaking the exam. The last thing you want is to save a few dollars but struggle to find a job after you graduate. Like most major purchases, the balance between cost and quality should be a top consideration. 3. What are the admission requirements? You want to put your best foot forward when it comes to your application, so when you decide you want to go to nursing school, make sure you look into the deadlines, application requirements, and prerequisites of your top schools as soon as possible. Some of the requirements can be lengthy. You don’t want to be scrambling at the last minute requesting transcripts or taking any entrance exams. If the process looks too involved before the enrollment begins, it might be in your best interest to save the application fee (if there is one) and wait until the next application cycle to apply. Give yourself plenty of time to complete the documentation, and schedule a meeting with an admissions advisor if you have any questions about the application or process. 4. Is the nursing school accredited? This is a big one, and an important thing to look into if you want to qualify for more education in the future. Accreditation ensures a nursing school adheres to professional and legal standards, that it teaches and prepares students for the work of a nurse. There are two nationally accredited bodies that accredit nursing programs: the Accreditation Commission For Education in Nursing (ACEN) and the Commission on Collegiate Nursing Education (CCNE). ACEN accredits all types of nursing programs, from diploma to master’s degrees, while the CCNE only accredits bachelor’s and master’s degree programs. New nursing programs are emerging all the time to meet the growing demand for more nurses. Since accreditation can take awhile, make sure the nursing school you choose is at least in the process, meeting the requirements set by the ACEN and CCNE. Opting for an older nursing school instead isn’t the wisest decision, since schools can lose their accreditation by failing to meet standards over time. If the accreditation information is not available on the school’s website, ask the admissions office before you begin your application. 5. Where is the school located? Location, location, location! This one isn’t as important as the quality of education at your choice institution, but it’s an important one to note. If you don’t like where the school is located, you might have trouble fully acclimating. That said, nursing school doesn’t last forever, so considerations like commute times and availability of housing are more important. If you currently live in Salt Lake City and need to stay there while you study nursing, look at all of the Utah nursing schools within a manageable commute radius. If you’re open to relocating, when you research nursing programs take a look at sites like Zillow and Apartments.com to get a feel for the local real estate and costs of living. A move may seem like a stressful thing right before nursing school, but if it saves a two-hour commute each day, it’ll pay off in the long run. 6. What is the faculty like? Before you apply to a nursing program, take some time to research the faculty’s credentials. You’ll be spending a lot of time with them, since they will act as both teacher and mentor as you work your way through nursing school. Ask about where they went to school, how much education they have, how much practical nursing experience they have, and what they specialized in. A diverse faculty with unique professional and educational experience can offer the student body so much more than basic nursing skills. 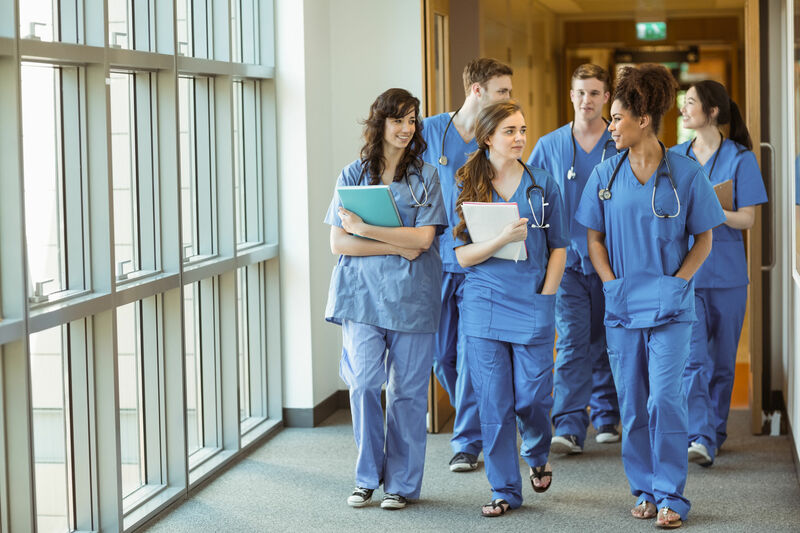 Institutions employing nurse faculty with recent clinical experience can better prepare students for the real, gritty work of the profession. 7. What are the nursing school’s NCLEX pass rates? The level of test preparation. It’s important to look at a school’s NCLEX pass rates before you apply. If they aren’t available on the school or program’s website, look on the state’s Board of Nursing site, where you can find NCLEX pass rates by school. The national average NCLEX-RN pass rate for 2015 was 84.5%, so make sure to choose a school with consistent scores at or above 85% over the last five years. At Ameritech College of Healthcare, we realize nursing school is a huge commitment and one that shouldn’t be taken lightly. If you’re interested in becoming a registered nurse, we have a lot to offer — 95.3% NCLEX pass rates, highly skilled faculty, the beauty of Draper, and so much more — and would love to talk with you about our accelerated nursing program in Utah. If you have any questions or want to know if our program is right for you, please feel free to reach out to us. We’d love to hear from you!